Nevada presents students with one of the lowest numbers of accounting schools in the U.S., with just over 10 options available and only 3 institutions offering advanced degrees in accounting. Among these, the University of Nevada – Las Vegas was ranked as the 17th best in the country by the Public Accounting Report’s 2013 survey of accounting professors in the small institution category at the Master’s level. 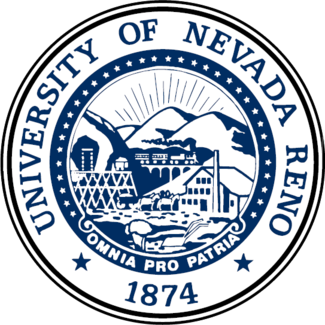 Another well-regarded Nevada university is the University of Nevada – Reno, listed as the 181st in the United States via U.S. News. Both of these institutions boast excellent CPA exam pass rates and provide prospective accountants with a head start in their careers. There’s no overstating the importance of education in an accounting career. You will need strong technical competence, a broad knowledge base in finance and business, as well as practical experience to become a successful accountant. All of these are the outcomes of a good accounting program, which should turn you into a professional ready to prosper. To maximize your chances for success in this demanding field, double check that the program you choose has the right accreditation from AACBS or the state accountancy board and look for a blend of top quality teaching and opportunities for experience. 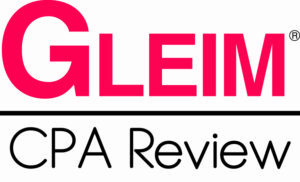 You can gauge a program’s academic effectiveness by looking at CPA exam pass rates, faculty qualifications and accolades, student evaluations and national rankings. Employability should be another focus of the ideal accounting program. Students need plenty of opportunities to get involved through internships, volunteering, field projects, student organizations and networking events. You shouldn’t have to wait until you graduate to start your career. Remember that major firms tend to recruit graduates of prestigious programs, so try to find out the school’s employment rates, average starting salaries and top recruiters. Despite the stereotypical view of accountants, you’ll need much more than math and an eye for detail in this profession. Accountants are essential to any business and you’ll find that leadership skills will be as useful to you in your career as technical competence. It is thus not surprising that standards are very high in this profession and it all starts with a solid education. A minimum of a four-year degree in accounting or a related field is required to work as an accountant. However, if you wish to become a Certified Public Accountant (CPA), you will need to complete 150 credits that usually involve five years of study and may include an advanced degree. Requirements for becoming a licensed CPA are strict: you will have to pass the CPA examination, to acquire a certain amount of accounting experience and to pass an ethics examination before you can apply for a license. However, once you succeed, you may find that a CPA license is tremendously valuable in securing well-paying employment and reaching higher in your career. Before you can sit for the CPA examination in Nevada, you have to earn a Bachelor’s degree with 150 credits of education, including 30 credits in accounting courses, 3 credits in business law and 24 credits in business courses. 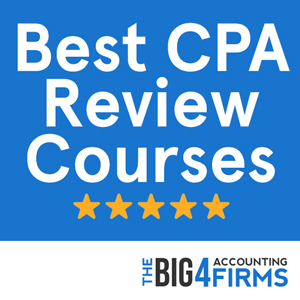 To become a CPA, you will need to pass all four sections of the CPA exam and to acquire the equivalent of two years of experience in public accounting verified by a licensed CPA. Moreover, before you can apply for your license you will be required to pass the AICPA ethics examination. Licensed CPAs in Nevada are required to complete 80 credits in continuing professional education courses every two years in order to renew their license. Nevada does not shine among other U.S. states in terms of accounting salaries and job opportunities. The mean average annual wage for accountants and auditors in 2013 was $62,180 in Nevada, in stark contrast to the neighboring California’s $77,420. The Nevada salary falls below the national average of approximately $65,000 and accounting employment levels are also low in this state. However, pay levels can vary significantly in accounting. For example, the Western Central Nevada non-metropolitan area reports a mean annual wage of $79,310, much higher than in the rest of the state. Salaries also vary greatly with skills and experience and can range between $32,000 and $93,000 on average in Nevada. The AACBS-accredited College of Business at the University of Nevada – Reno offers a flexible accounting program within its department of Accounting and Information Systems. Students may pursue a Bachelor of Science in Accounting, a BSBA with a combined major in Accounting and Information Systems, as well as a Master of Accountancy degree. The Master of Accountancy degree allows students to meet the 150-credit requirement for CPA licensure, as well as to gain advanced skills in auditing, financial reporting, taxation and other accounting topics. The University of Nevada – Reno boasts a CPA exam pass rate of 68% in 2012, well above the national average of 46.5%. Rated as 387th nationwide by Forbes and as 181st by U.S. News, the University of Nevada – Reno offers a good accounting program with affordable tuition and high acceptance rates. Without shining in national rankings, the school can help you qualify as an accountant – although if your ambitions are high, you should probably aim for a more prestigious program. The University of Nevada – Las Vegas made the 2013 PAR survey ranking, as well as the Forbes Top 600 Colleges List. The AACBS-accredited Lee Business Schools offers a comprehensive accounting program that includes a Bachelor of Science in Business Administration with a major in Accounting, a minor in Accounting, a minor in Auditing and a prestigious Master of Science in Accounting. Students wishing to become CPAs are advised to complete the required 150 credits by earning the Master of Science degree in addition to their undergraduate degree. The Master of Science in Accounting program is highly flexible, with over 50 accounting and non-accounting electives that ensure an education tailored to specific career goals. Through internship opportunities and on-campus organizations such as Beta Alpha Psi, both undergraduate and graduate students can acquire work experience that will give them an edge in their career. With a CPA exam pass rate of over 70% in 2013, the Lee Business School offers an effective accounting program that can help students face future challenges in a demanding field.